Avalon's exterior exuded a sophisticated confidence others aspire to. 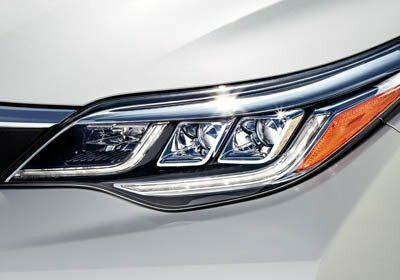 Its sculpted lines and powerful curves create a stunning profile, while the bold grille and stylish available LED headlights help you stand out on any road. A true driver's car inspired by racing - available steering wheel-mounted paddle shifters provide for a more hands-on driving experience by letting you control when you shift and matching every rev for seamless downshifts. Your rear-seat passengers ride in comfort as well. Th spacious available heated rear seats of Avalon offers plenty of leg room thanks to a near-flat rear floor. A luxurious ride for everyone. Avalon Limited is equipped with a power rear sunshade to help keep rear-seat passengers cool and comfortable when the sun is at full strength. Avalon comes standard with the Star Safety System, a suite of six advanced safety features designed to help keep you out of harm’s way. The system includes Vehicle Stability Control, Traction Control, Anti-lock Brake System, Electronic Brake-force Distribution, and Smart Stop Technology. 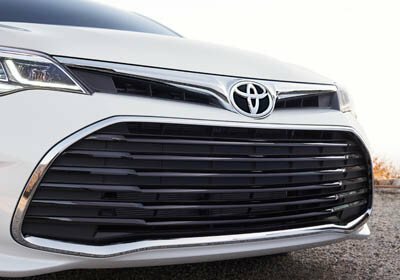 Avalon Hybrid offers a choice of Sport, ECO, and EV Modes. At the same time, it has an EPA-estimated 40 mpg combined and carries a Super Ultra Low Emission Vehicle (SULEV) emission rating. Our Hybrid Synergy Drive system and Electronically-controlled Continuously Variable Transmission (ECVT) combine for fuel-economy efficiency and the performance you love. Driving a full-size sedan doesn’t mean you can’t have full-size savings.